May Tuesday Book Club DIY U and the Coming Education Reformation | WHAT’S UP WITH THAT GREAT BOOK YOU NEVER FINISH READING? 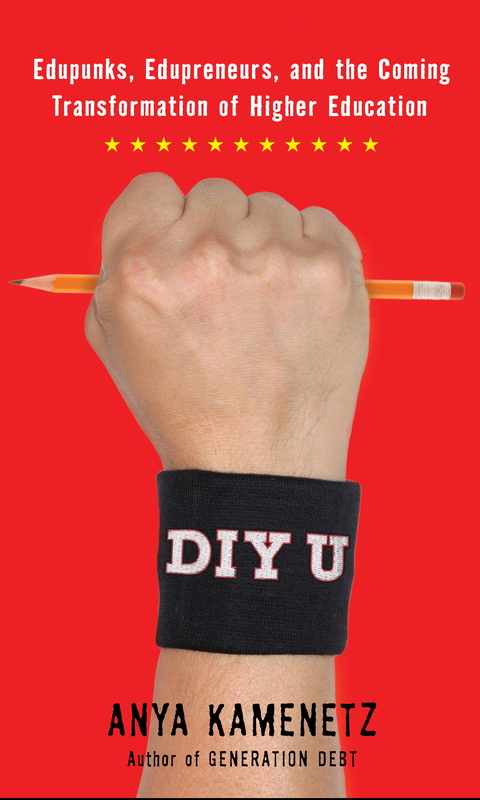 Anya Kamenetz proves her salt as an investigative writer in her latest book, DIY U: Edupunks, Edupreneurs, and the Coming Transformation of Higher Education (See all Educational Policy Books) , about the past and future of American education. If you have an interest in the future of education perhaps as a parent, student, trustee or educator, you may want to read it. Our live discussion will be at Laura’s Library, Tuesday, May 17, 2011 at 6:30 CDT in Austin, Texas. If you at not in Austin, simply click the event link for information on how you can participate virtually. Does the future of education seem weakened or strengthened by the big ideas in this book? How will the schools you support need to shift in order to keep pace with change? What are the roadblocks that stand in the way of progressive self-directed education? Would love to hear your questions when we discuss this amazing commentary! Join the fun.